Monaghan are anxiously awaiting news on Conor McManus after the All Star forward sustained knee and ankle damage in a club game over the weekend. The Clontibret attacker was injured in an encounter against Magheracloone on Friday evening. Initial scans have indicated that there is significant damage and he appears in danger of being out for some time. 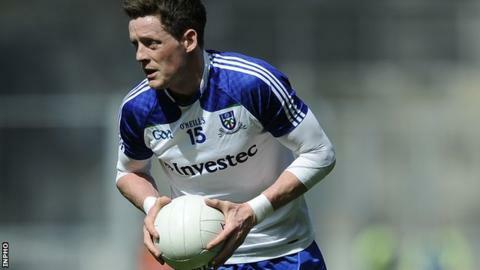 Monaghan open their Ulster Championship campaign on 15 June when they will face either Tyrone or Down. McManus was part of an impressive Farney County display last weekend when they comfortably accounted for Donegal in the Football League Division 2 final at Croke Park. His absence would have a massive blow for a Monaghan team who clinched last year's Ulster title when they shocked Donegal in the provincial final.